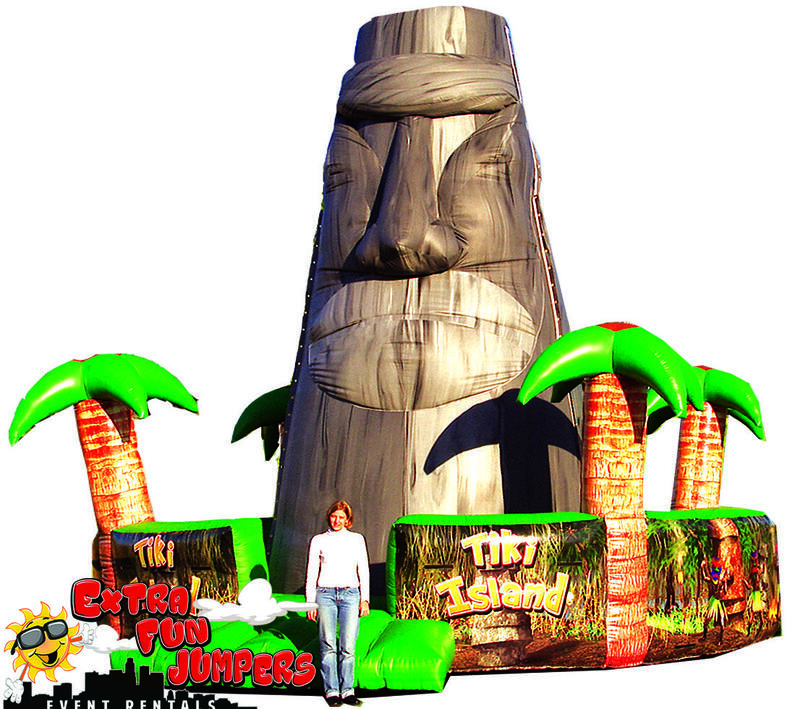 The Inflatable Rock Wall rental is a one of a kind rock wall that is sure to be a hit at any large party or event. This 25ft rock wall rental comes with automatic belays to help climbers smoothly return back down as well as actual climb holds for real climbing experience. Can have 2 climbers at a time. Also includes one operator for event duration. Reminiscent of the famous Easter Island sculptures, we have captured the tribal spirit with this all-new climbing wall. This unit features actual climb holds that are only found on hard-surfaced climbing walls. Unit includes (4) Adult and (2) Youth climbing harnesses.